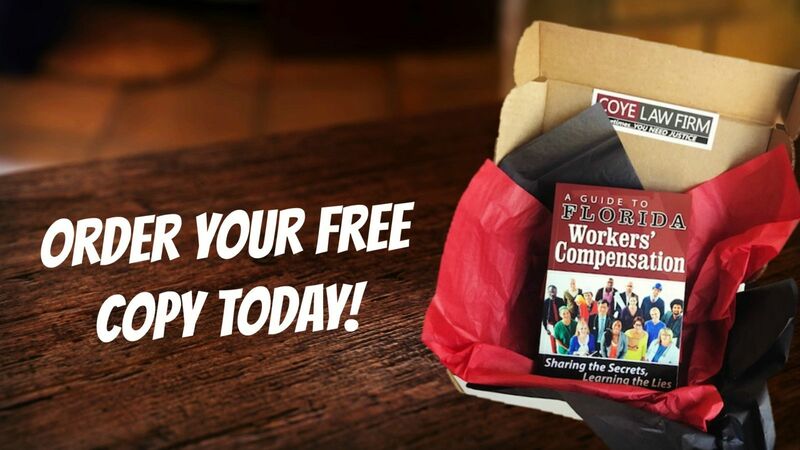 Order Your Free Copy of My Workers' Compensation Book "Sharing the Secrets, Learning the Lies: A Florida Guide to Worker's Compensation"
My book on Workers' Compensation benefits, "Sharing the Secrets, Learning the Lies: A Guide to Florida Workers' Compensation" is here, and I can't wait to share it with you! For those that pre-ordered copies, your books are being packaged up by my team right now! You should receive your copies this week. If you haven't ordered my book yet, what are you waiting for? Click here to order your absolutely free copy today. If you or a loved one is struggling with the Workers' Compensation process, order my book and you will be squared away in no time! You can order a FREE copy of "Sharing the Secrets, Learning the Lies: A Guide to Florida Workers' Compensation" by clicking here. Want to read the first 20 pages? You can also click here for an EXCLUSIVE sneak peek at the first few pages of my book.